If You Trade Crude Oil, Check Out Natural Gas! It is an obvious statement, but crude oil is one of the most heavily traded commodities in the world. Be it through futures, options, or CFD, WTI crude is the backbone of the global energy trade. However, diversifying your portfolio through the addition of natural gas is a great way to capitalize on the inherent market volatility of energy products. Volatility: Substantial average daily ranges provide consistent opportunity. Liquidity: Natural gas is the second most-traded energy futures contract. Independent: Price action is independent of other energies, even WTI crude. The natural gas market responds well to a technical approach, but can also be traded from a fundamental standpoint. As with WTI crude oil, each week brings an inventory cycle and a report from the Energy Information Administration (EIA). If you trade WTI crude based upon inventory stats, then natural gas may be an opportune target. Earlier this morning, EIA released its natural gas inventory figures. The number came in under expectations, yet price came off directionally. The immediate increase of participation upon the inventory release is similar to WTI crude. In addition, daily volumes are typically strong. 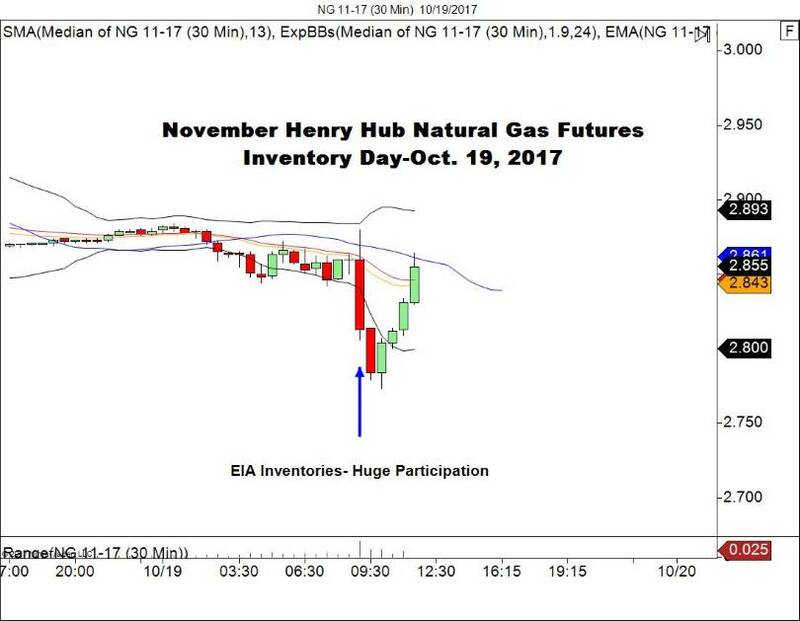 For the session, November natural gas futures have traded over 200,000 contracts. Bottom Line: If you are an energies trader, then natural gas is a target rich environment. It trades with the second largest volume on the energies futures market and is a nice compliment to WTI crude. Stay tuned to FX Leaders for future analysis and trade ideas facing the opportunity this product can deliver.